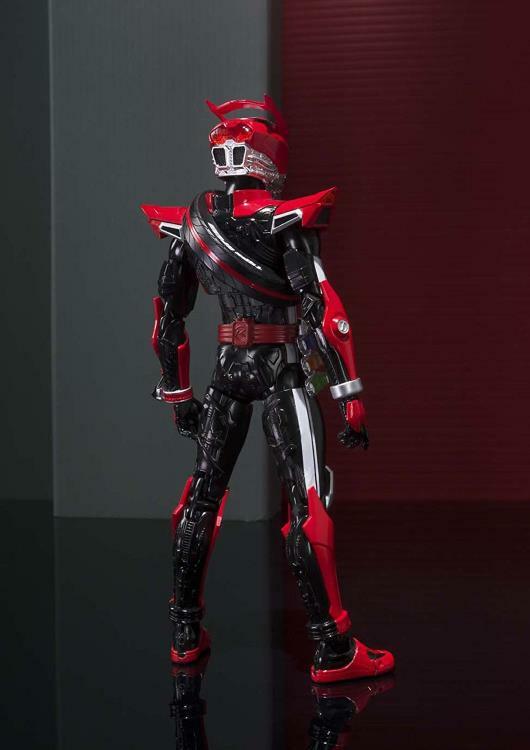 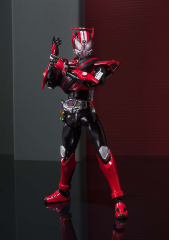 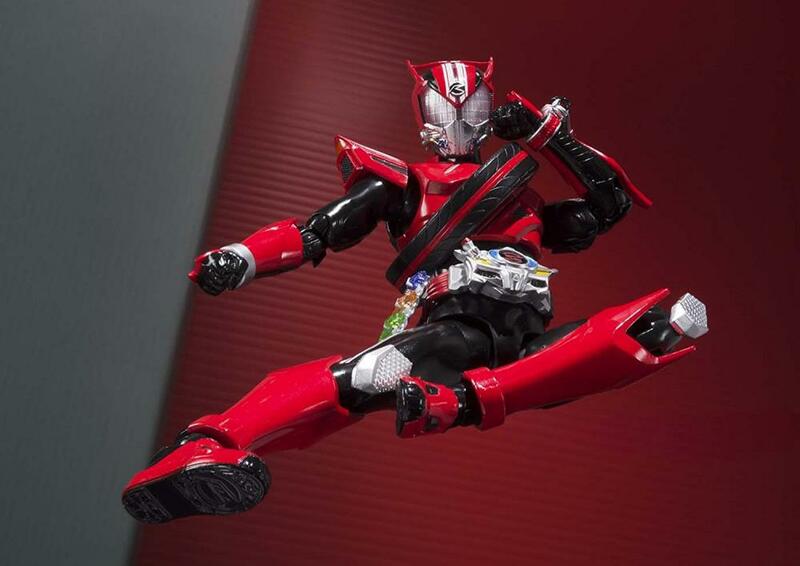 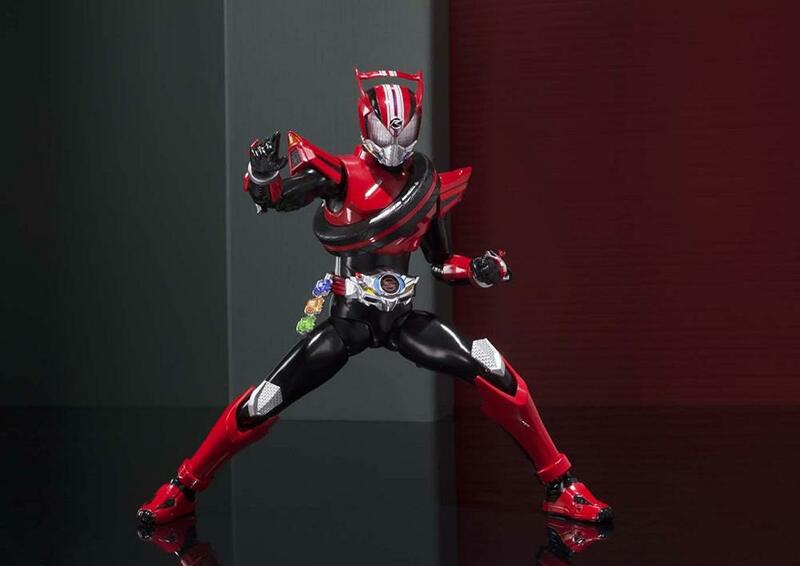 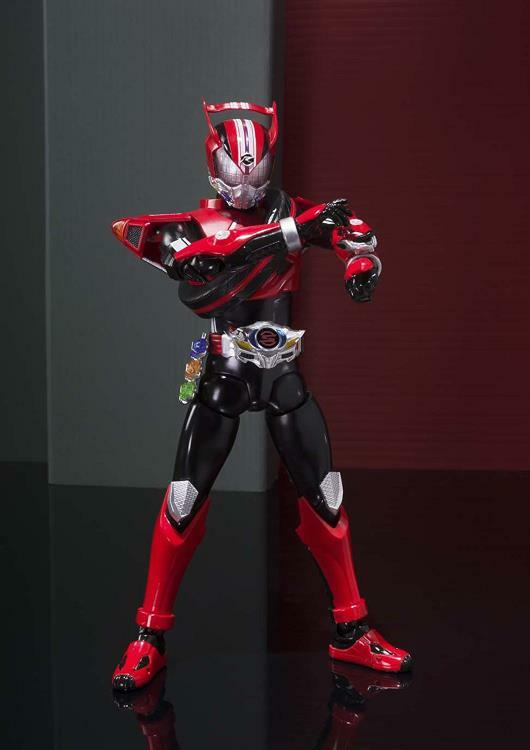 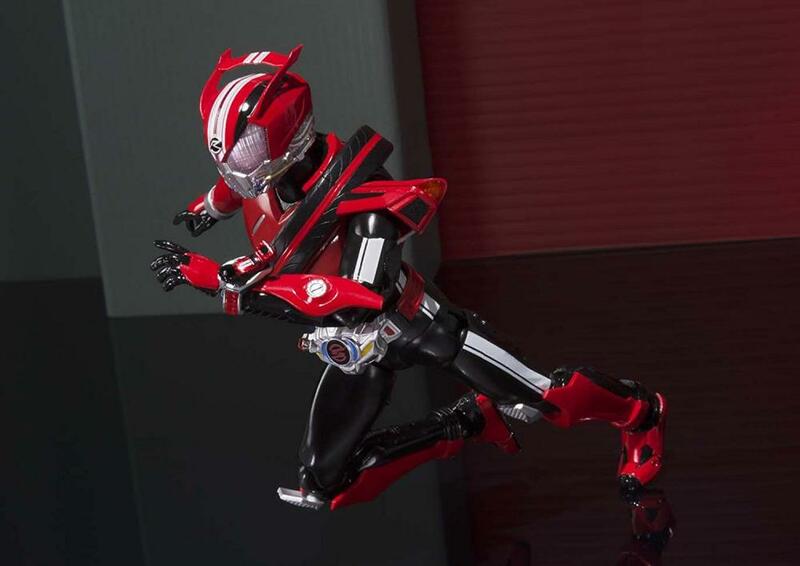 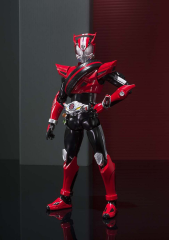 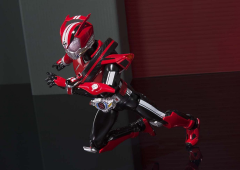 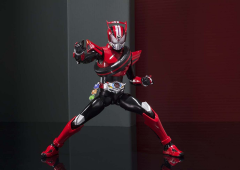 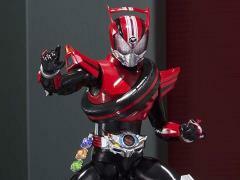 Tamashii Nations presents Kamen Rider Drive Type Speed as an articulated S.H.Figuarts figure! This awesome figure is a must-have for all Kamen Rider fans. 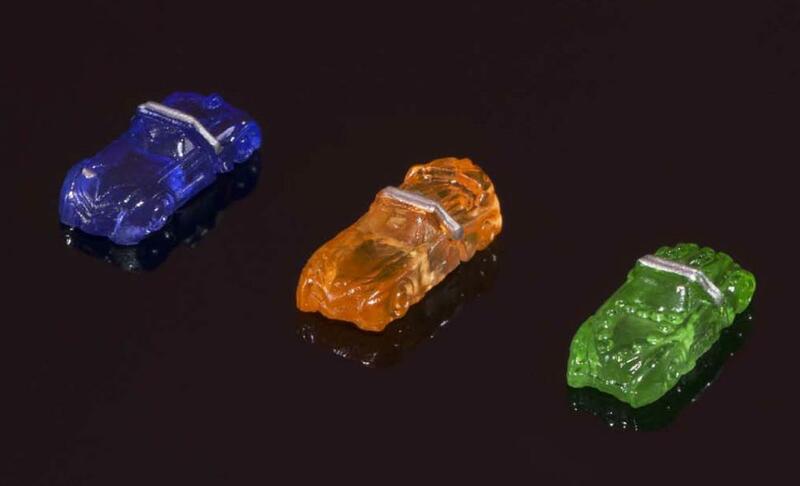 He includes 6 interchangeable hands and 3 of his Shift Cars that allowed him to change into different modes on the show.